Sport Multistrada 1200 Enduro accessory package. A combination of accessories that offers a rich mix of performance and design thanks to the approved Termignoni silencer with titanium liner, the elegant CNC aluminium covers for the brake and clutch fluid reservoirs and the special machined cover for the water pump. 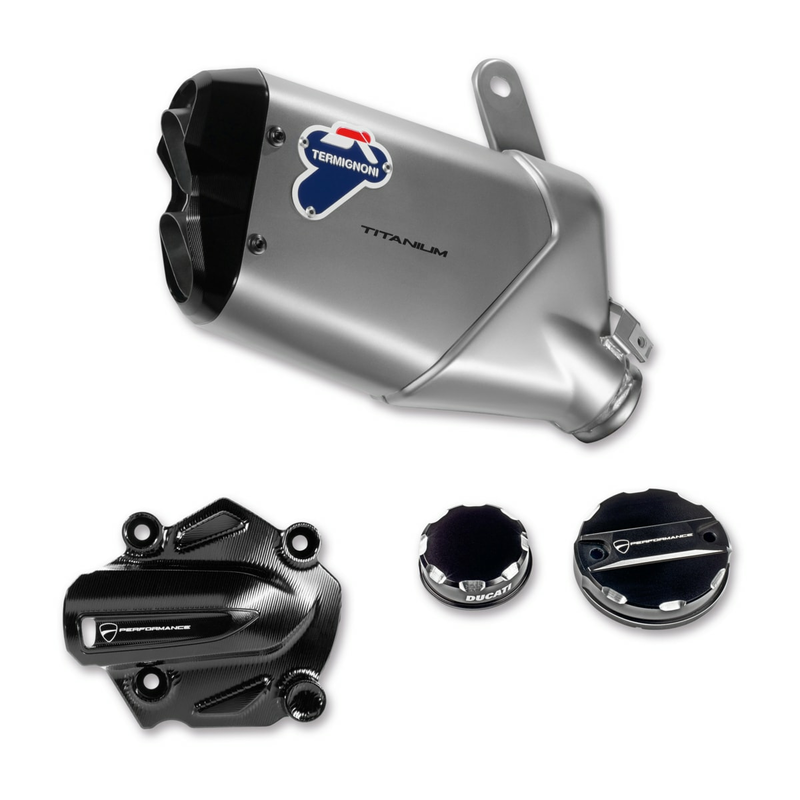 It includes the following accessories: type-approved silencer, water pump cover from billet aluminium, covers for clutch and brake fluid reservoirs.